For the Cicerone Ensemble just playing music is not enough. Listening to historic music is just part of the experience the three young musicians set out to provide. The goal is to showcase music and bring it to life like a tourist guide would an old painting or an ancient building, hence the name “Cicerone” (Italian cicerone = guide). The greatest pleasure will be when the music has not just an emotional impact, but when one comprehends what is being heard. Having experienced this phenomenon first hand during their studies, the three musicians soon arrived at the decision to found an ensemble as a means of pursuing this very idea. This is why the Cicerone Ensemble generally includes presentations in their concerts. By talking about historical instruments and techniques, they provide a context which allows the listener to experience the music from a new perspective. The presentations also result in a more diversified and accessible concert, which is why they have met with much enthusiasm from critics and audiences alike. Not only does this help the musicians in heightening interest in the historical performance of Baroque music – it also enables them to perform more freely and with closer adherence to historic ideals. The members of the ensemble bring together individual experience gathered on stages and recordings with ensembles such as Das Neue Orchester, the Balthasar-Neumann-Ensemble and the Kölner Akademie. Furthermore, the Cicerone Ensemble has pledged itself to the respect for and adherence to the information contained in historic sources, which is why two of the members teach at the Hochschule für Musik und Tanz Köln and the Universität Mozarteum Salzburg respectively. The combination of musicological resources and artistic passion results in music of perfect clarity and transparency, yet full of the affects that make music of the Baroque era so distinct. In 2014 Cicerone Ensemble took part in the Hofmusik Academy, Düsseldorf, and was semi-finalist of Van Wassenaer Concours, Utrecht. They were granted a scholarship by the renowned Deutscher Musikwettbewerb in 2015. 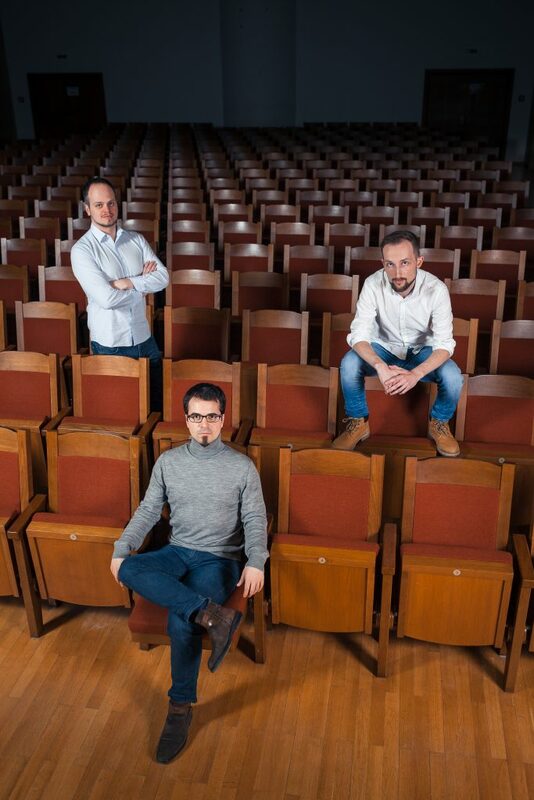 In 2016/17 they were part of the Deutsche Musikrat’s “Bundesauswahl Konzerte Junger Künstler”, an agency for laureates of the Deutscher Musikwettbewerb. In June 2015 they won the scholarship of the Köhler-Osbahr Foundation. Their first CD, titled “Grand Tour”, was released in January 2019.